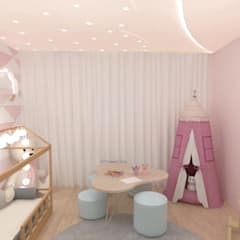 How can I design a girl’s bedroom? * Take care to design a simple, comfortable and clutter-free interior environment. Don’t stuff the space with unnecessary pieces of furniture and decor. Also remove all the items from the room that are no longer in use. * Focus on designing a safe space for the child. For example, if you have large windows in the room install invisible window grills or keep the shutters locked. The same applies for the terrace adjacent to the room. * Buy furniture with rounded edges. It will eliminate the chances of cuts and bruises from accidental falls. * For the same reason, cover the flooring with a soft rug. It will also protect their feet in the harsh winter months. * Don’t let electrical fixtures and loose wiring hang around. * Buy only those items that are considered safe for kids. Some synthetic fabric materials and plastic decor items may cause allergic reactions. So be careful and, when possible, test before purchase. * To decorate the walls and furniture, choose only lead-free paints. 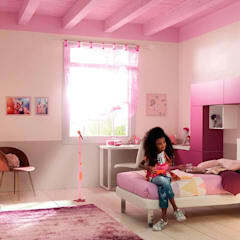 Check out our massive collection of girl’s room ideas before designing your child’s bedroom. They will give you plenty of cues about decorating the room in style. Place the bed in the central position of the room. Avoid placing it in front of the windows as the light may cause sleep disturbances. Choose a matching nightstand and place it by the bedside. Use the empty walls to build floating shelves and wardrobe. Design a study area close by the windows. 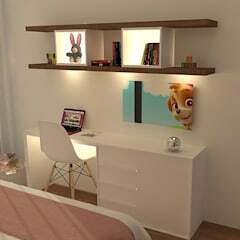 When availability of space is not a concern, you may buy a separate vanity dressing table and place it by the wardrobe. Place a chair in front of the study table and a couple more in an empty corner. They could be used when your child invites her friends in the house. What are some of the girl’s bedroom ideas for small spaces? 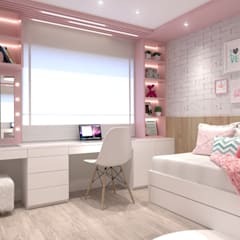 Looking for girls bedroom ideas for small rooms? You needn’t worry yourself too much about a lack of space in the room. Invest in multifunctional furniture like shelves with built-in tables, wardrobes with a vanity unit and sofas with storage spaces. Buy a Trundle bed or divan. Install a floating shelving system that doesn’t consume any floor area. With the help of these furniture pieces, you will be able to make the optimal use of the available area. What are the most suitable colours for a girl’s rooms? 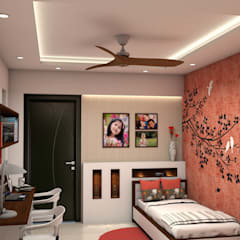 While searching for girl’s room ideas, you may have noticed a predominant usage of pink and red shades. Those are the most popular colours for this space, but you need not be limited by them. You may play with a wide variety of other colours and find out what best suits your child’s room. Some of the other options are lavender, beige, orange and fern green. With their varied texture and tone, hardwood flooring and wooden furniture also add beauty in the space. 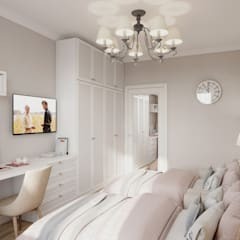 What are the available furniture and bed styles for a girl’s bedroom? * A desk for study. * Storage spaces including a bookshelf and wardrobe. You may also have a chest of drawers in this space. Your young one will be store away some of her clothing items in it. * Chair in the study. * A couple of more chairs, stools or ottomans for friends. You may replace the chairs with a small sofa or upholstered bench. * Most importantly, a comfortable bed for the child to take rest. Bunk and Trundle beds are the popular options for a girl’s bedroom. Both optimise the space available in the room. Trundle beds also increase storage space. You will be able to buy comfortable bunk or Trundle beds for less than $600 CAD. You may also choose from platform beds, four poster classical beds, sleigh beds or divans in this space. Kid’s platform beds cost around $300 CAD. 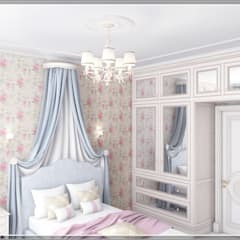 Four poster and canopy beds look better in a spacious room with a classical or retro style décor. Wooden beds with a classical edge would cost greater than $750 CAD. Divan and platform beds are more suitable for modern rooms. You may also buy beds designed as doll houses, caves or castles and add an extra element of fun in the room. They cost around $500 CAD. How to decorate the interior of a girl’s bedroom? The girl’s bedroom images on homify could be one of the major sources of inspiration for you. Buy curtains and upholstery that matches or complements the colour scheme of the room. You may go for theme based girl’s room decor. Some of the popular themes include Disney animated characters, your child’s favourite sports or sporting icons or outdoor nature. Choose wallpaper, bed furnishings and decor objects that comply with your chosen theme. For example, wallpaper with flower or bird motifs go very well with a nature based theme. When opting for a Disney cartoon based theme, choose a large poster or cut out of the central character and position it prominently on the feature wall. Buy lamp shades and curtains with the image of these characters imprinted on them. You will easily find them in the local shops or online stores. 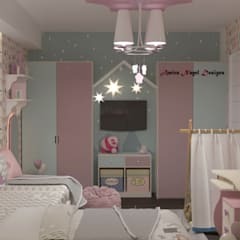 You may also inform your interior designer about your child’s favourite icons and let him or her procure and arrange all the necessary decor items.